Well Well Well, What a Cool Map! Send a free, customized postcard from Matsumoto and the Three-star Route! Matsumoto City is located in the middle of Nagano Prefecture where the 1998 Winter Olympics were hosted. It sits at the foot of the Japanese Alps, nestled between the mountains in the heart of Japan. 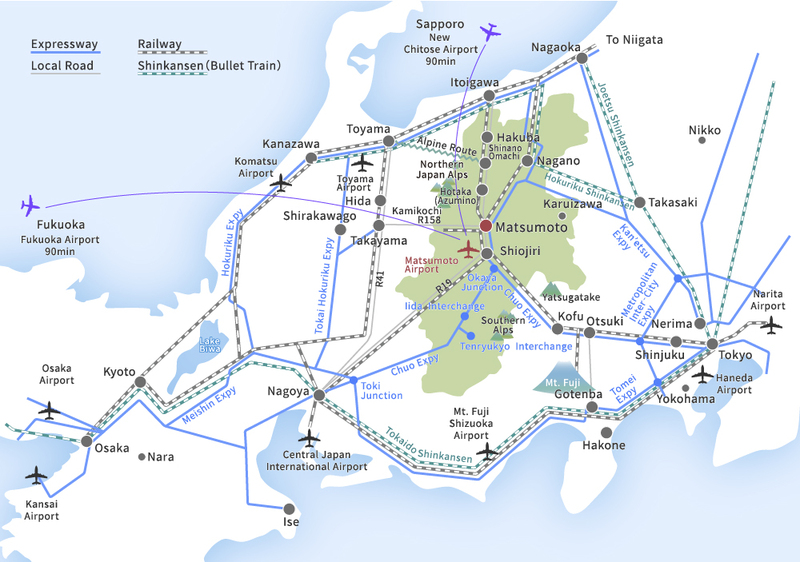 Matsumoto is easily accessible by road, air, and rail. We'll go over the suggested routes below. Please note that alternative routes may also be available, and of course, all fares and info below are subject to change. This website was created by local expats who live in Matsumoto. We have fallen in love with this charming city and believe anyone who visits will too. 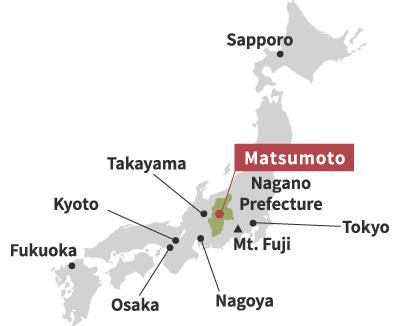 Make Matsumoto your destination and use this site to help you explore! Ishii Miso Brewery with Tour, Lunch, and Miso Ice Cream! Apple Picking Starts October 1 at Yokoya Farm! Mt. Norikuradake is full of fall colors already! Time for Matsumoto Summer Fest!